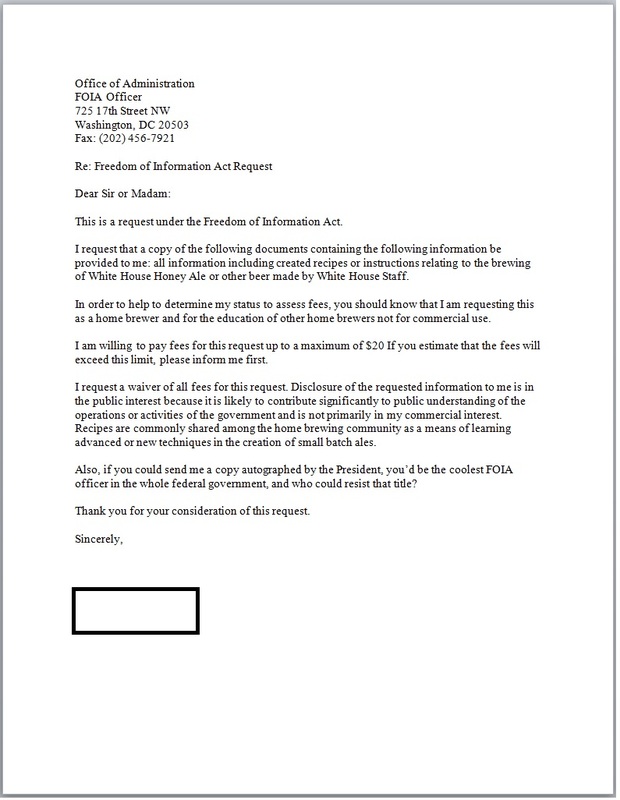 (Newser) – Rarely has an FOIA request been used to uncover something so intoxicating: Beer lovers are asking the White House to release the recipe for its homebrew. 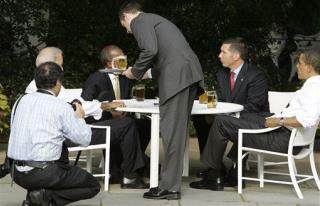 President Obama told a voter last week that he travels with White House Honey Ale, then had a bottle brought out of his campaign bus, Government Executive reports. Homebrewers launched a petition on the White House site asking for the recipe (they want it released "in keeping with the brewing traditions of the founding fathers"), but it only had 1,930 signatures as of this morning, and it needs 25,000 in order to get an official response.